from our house to yours...: I just can't quit you, Pottery Barn. Ever since having our Registry at Pottery Barn in the Spring of 2007, I get their emails all the time! You have to hand it to their e-marketers...they are relentless! For a while, I thought I already had everything I needed from there and would delete the emails as they came in, but today's caught my eye! 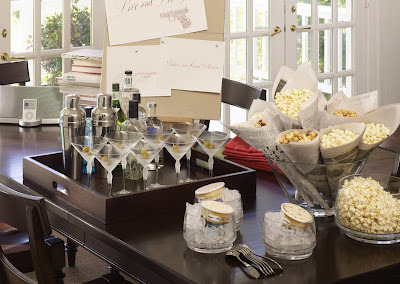 You can now go to Pottery Barn and they will help you plan your party...PB style! I loved browsing for a while, looking at suggested decor, menus, entertainment, etc....though I DO have to say their downloadable invitations are no substitue for HH creations! Check out the link here and Happy Planning! Good post! Can't believe I didn't know about this!